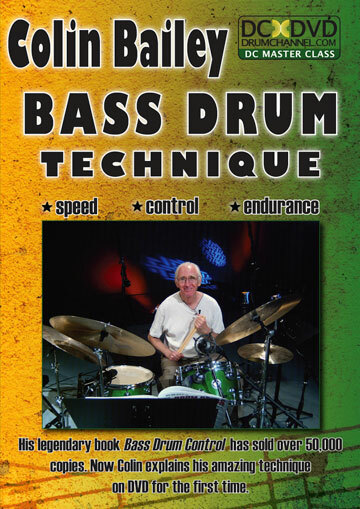 Back to product list Colin's new DVD, Bass Drum Technique, offers drummers the great opportunity to watch Colin demonstrate his bass drum technique as he takes you through the exercises already made famous by his book, Bass Drum Control. - Colin performs with his trio. John Chiodini on guitar and Jim Hughart on bass.